A couple months ago I followed a link from Loobylu, and an obsession began (this blog is teaching me that I apparently have many of them). I begged and pleaded with Tomas that he get me some of the Paumes books for Christmas, being quite sure that something terrible would happen if I didn’t get a chance to flip though these books. ASAP. Tomas couldn’t figure out how to order them, so he said I should since I knew exactly what I wanted. I contacted the folks at Paumes directly by e-mail, and they were so very helpful, and responsive. 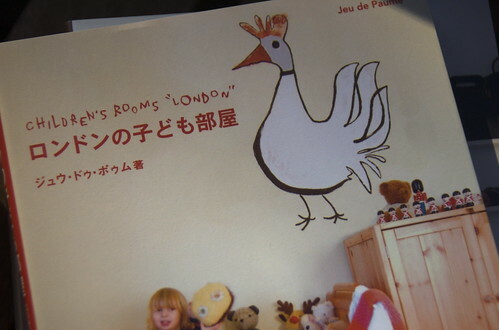 I thought it was rather funny that I found them through an Australian site, and ended up buying several books written in Japanese about Scandinavian, French and British interior design and crafts, and that the transaction was done in French. Dizzying, really. I’ve already got a list going of the activities I’d like to do with the kidlings that are inspired by these books. I have no idea if we’ll ever actually do the projects, but it helps me in those “Mommy, I’m booored. What can I doooo?” moments to have these visuals in my subconscious.